Here is an article I wrote for our local running club newsletter that I decided to share with everyone. My son Benjamin is no stranger to running. He's been at nearly every marathon I've run. He watched me qualify for Boston, cheered for me on the hills of Newton, and has attended more running events than he can count. My running friends are his running friends, and they are good friends to have. It's through our influence and passion for running that inspired him to race. Nearly 6 months ago he ran his first race. It was a 1K around Lake Harriet in the dead of winter. People say should start them young, and that's exactly what my wife and I intended to do. I ran with him in many layers chatting the entire way. He asked if we were going to just run a "short one". I told him yes and we proceeded to run the entire race without stopping. It was then I knew he had "the bug". I was once told by a wise runner when my son was born that my running will only get better with a child, especially when your child runs with you. 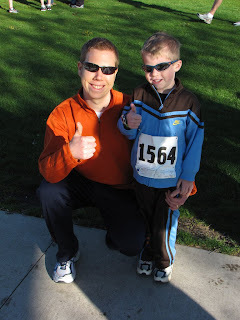 Today my son did better than run with me, he ran without me. He suited up in his track suit, pinned his number on, laced his shoes, and stood perched at the starting line with his hand on his watch. 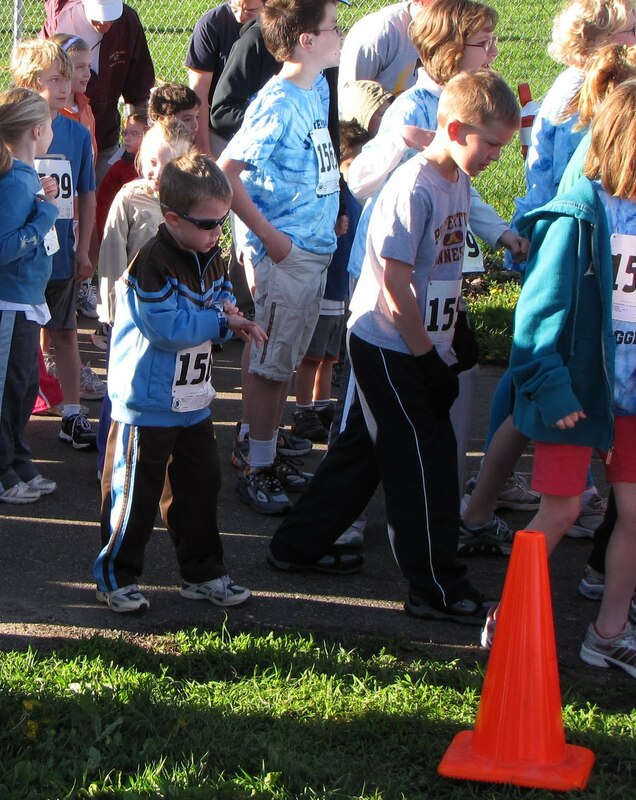 When they yelled go, he didn't turn around, he didn't look for daddy or mommy, he was off like a shot looking to run his first ever 1 mile race. He told me that he did have to walk for three steps but otherwise ran the entire race without stopping. At the end of his race claimed his medal as thousand before him have down, he bowed his head while someone placed it around his neck in victory. Today my son became a runner.